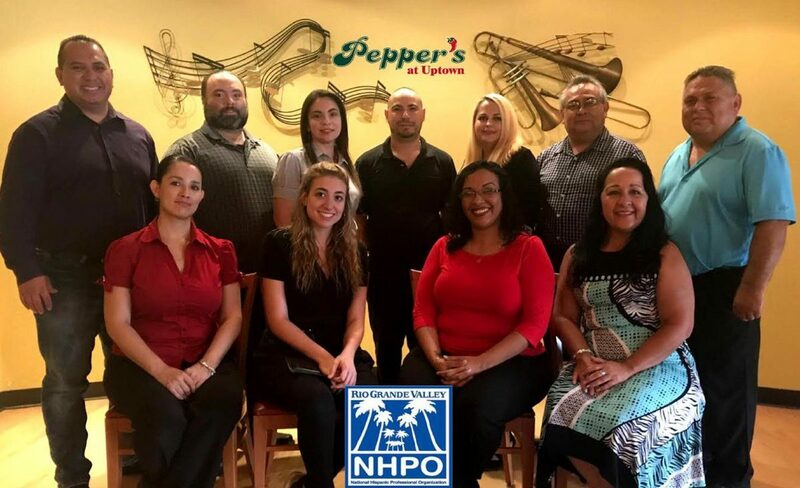 The National Hispanic Professional Organization (NHPO) – RGV Chapter invites all business professionals to join for this month’s Networking Event from 6 to 9 p.m. Thursday, Aug. 16, at Pepper’s At Uptown, 4620 N. 10th St. in McAllen. Pepper’s at Uptown is locally owned and operated. The National Hispanic Professional Organization (NHPO) is a networking, nonprofit membership-based organization that provides a myriad of educational seminars as well as recreational and community events to foster and promote self-improvement, professional advancement and personal achievement. NHPO’s mission is to provide its members with professional and business development, career opportunities and leadership training. These networking events are held the third Thursday of the month in various locations that are conducive to an enjoyable, relaxing and professional networking environment. Non-members may choose to join the organization with an annual individual membership of $40 or pay the $10 non-member fee. This is a great opportunity to promote yourself as well as your business, services or organization. Business attire is highly encouraged and make sure to bring plenty of business cards. For more information, visit www.nhporgv.org or https://www.facebook.com/nhporgv.